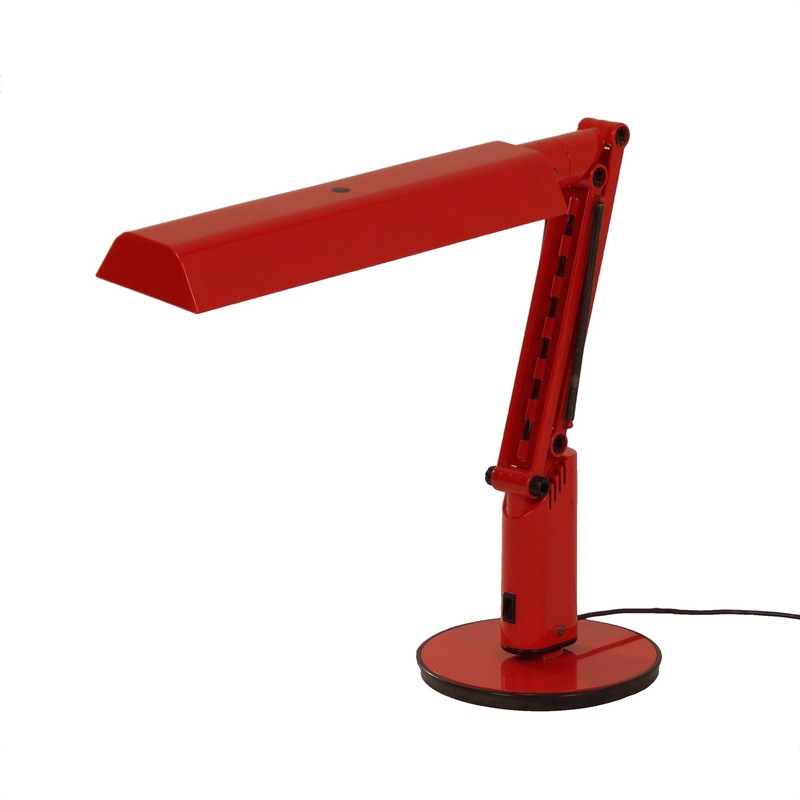 Red Lucifer desk light designed by Tom Ahlstrom & Hans Ehrich (A & E Design) for Fagerhults, Sweden in the seventies. Two tube light’s are hidden in the nicely formed shade. Considering its age this vintage lamp is still in very good condition, minimal traces of usage. Measurements: h x w x d = 51 x 62 x 24 cm. It is rotatable and adjustable from 62 to +/- 100 cm (see more photos). Book: Struck by Lighting, André Koch page 102. Marked: Fagerhults, Sweden.